Looking for extensive immersion for your young language learner that combines free play, art, science, and basic literacy in the target language? Sign up now for our Sponge LanguagePlayTM Program! Sponge LanguagePlay program is a half-day, twice a week, immersive learning program where students learn a new language and discover world culture through exploration and hands-on activities. The Sponge LanguagePlay curriculum goes beyond our regular once/week language classes by expanding it through the inclusion of additional art, science, and basic literacy activities in the target language. Our LanguagePlay classes introduce students to culture through music, dance, food, language and dress, all in an immersion environment. This facilitates each child’s growth towards independence in our increasingly global society by building confidence, curiosity, self-esteem and friendships. 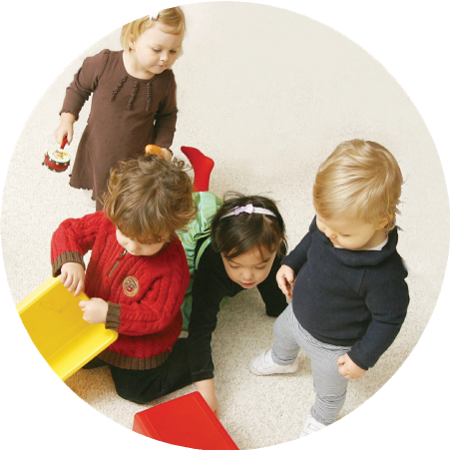 The Sponge LanguagePlay program is designed for 3 to 5 year-old children who are ready for independent learning. At this stage, kids are mastering their native language–irregular rules and all. They are picking up new vocabulary and ways to express themselves, and they naturally use these skills with their second language too. We play games, do crafts, practice basic literacy, sing, and move–all in language. Our curriculum focuses on practical everyday language with new, fun thematic units every 5 weeks. Program is offered in Spanish, Mandarin, French, Japanese, and German at our Issaquah location. Session runs from October 15, 2018 to June 16, 2019. Join in on the fun and sign up here!